If you are like most homeowners, signs of roofing problems such as leaks make you worry. Trust us. It’s only right that you worry. Sometimes, even small problems escalate quickly until you realize a little too late that it has already caused too much damage. Before your roofing concern turns monstrous and destroys your home, perhaps it’s time that you let roofing experts see what needs to be done. Most of the time, old homes (and neglected ones) require a roof replacement. When it turns out that your home needs new roofing, you want to make sure that you know who to call for a reliable roofing job. Homeowners from Aurora know that there’s no other contractor to call for all their residential and commercial roofing needs. For many years now, they only trust Dillon Bros. Roofing. You should, too! Dillon Bros. Roofing is a family-owned and operated business dedicated to delivering dependable services and premium products at a fair price. Our services are available in Toronto, York, and the Durham regions. Our valued clients know that we have taken roofing services to a whole new level since we started in 1998. Our expert Aurora roofers offer an array of services – including roofing and skylight installation, gutter clean system installation, aluminum and vinyl siding installation, eaves trough cleaning, and snow removal, among others. Dillon Bros. Roofing is dedicated to providing the highest quality of services at a really fair price! Our customers depend on our expertise when addressing all their concerns. They will also tell you how great our customer service is! You can trust that every single member of Dillon Bros. Roofing installers in Aurora have gone through the finest roofing and safety training in Canada. That’s why we are able to deliver world-class workmanship and an impressive professional attitude. We have heard of the chaos that other roofers leave after a job. With Dillon Bros. Roofing you can be sure that your landscaping or garden will be left in perfect shape without any messes left behind. That’s just how we work! What are Your Roofing Options? A popular choice among Aurora homeowners, shingles stand out because of their aesthetic value, durability, and reasonable cost! 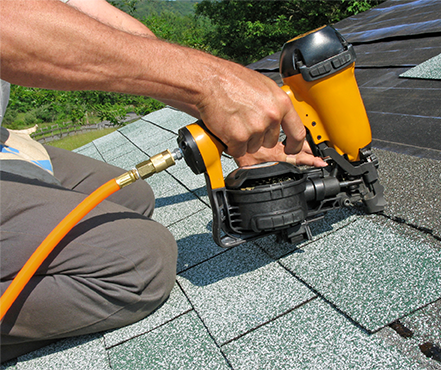 Shingles are also suitable for extreme temperatures, too. Dillon Bros. Roofing offers new installation and replacement services for shingles on commercial and residential properties. Our team is certified to install the best shingles you’ll find – BP, GAF, and IKO shingles! These come with warranties ranging from 25 years to a lifetime! Flat roofs are relatively more cost-effective to install. Homeowners will find that it’s easier and safer to clean flat roofing as there’s minimal chances of falling from a flat roof! 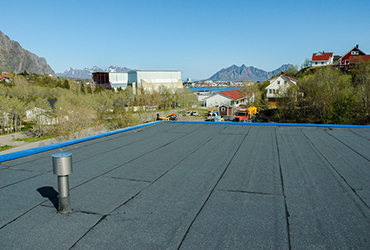 We can provide you with different flat roofing membranes – including classic 2-ply modified bitumen and single ply TPO and EDPM systems. Dillon Bros. Roofing is licensed to install reliable roofing brands like CARLISLE, FIRESTONE, IKO, and SOPREMA roofs. 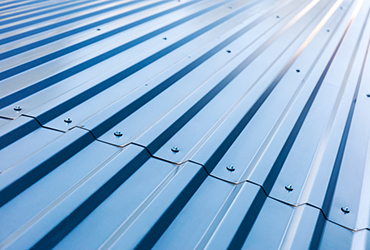 Another great option is the metal roof – which is known for being environmentally friendly, lightweight, and low-maintenance. We can install a “shingle style” 3-foot interlocking Katola system for your home. We can also provide you with full-length panel roofs in different profiles such as standing seam panels from STEEL TILE ROOFING. Roofing from BUCHNER ALUMINUM SHINGLE is also available,and comes in various colours! If you are interested in natural Cedar shakes and shingles, we can also install hand-split and taper-sawn shakes for you! Dillon Bros. Roofing also offers Enviroshake , as well as beautiful skylights and sun tunnels from Artistic Skylight Domes and Velux. Now you can enjoy eco-friendly roofing and the natural warmth of the sun in your home! Have you made your choice? Do you want to know more about each roofing option for you? Don’t hesitate to call us! We are more than willing to answer all your questions about the products and services we offer. 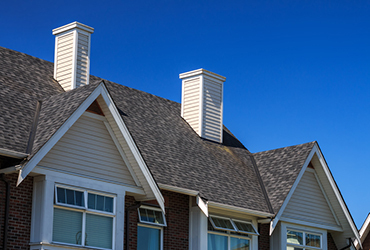 Your Aurora home deserves the best roofing services. Call Dillon Bros. Roofing now!